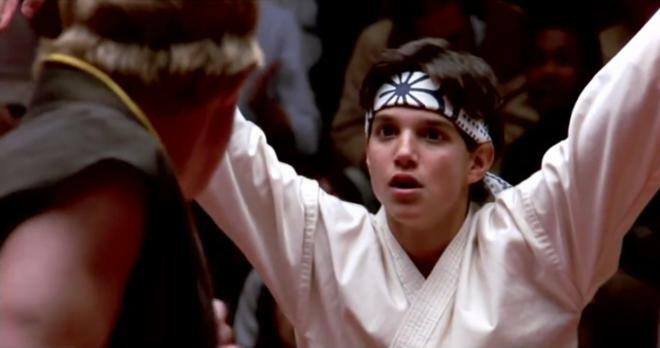 Sony is working on The Karate Kid for 4K Ultra HD Blu-ray on April 16. Celebrate the 35th anniversary of the coming-of-age classic — from Academy Award®-winning director (1976, Rocky) John G. Avildsen — that will leave you cheering! There is more to karate than fighting. This is the lesson that Daniel (Ralph Macchio), a San Fernando Valley teenager, is about to learn from a most unexpected teacher: Mr. Miyagi (Noriyuki "Pat " Morita in his Academy Award®-nominated performance [Best Supporting Actor, 1984]), an elderly handyman who also happens to be a master of the martial arts. His training and these vital lessons will be called into play when an outmatched Daniel faces Johnny, the skilled leader of the Cobra Kai — a vicious gang of karate school bullies — in a no-holds-barred karate tournament for the championship of the Valley. Fathom Events will also introduce the new 4K restoration of the film in theaters across the nation on March 31 and April 2. You can find the latest specs for The Karate Kid - 4K Ultra HD Blu-ray linked from our 4K Blu-ray Release Schedule, where it is indexed under April 16.